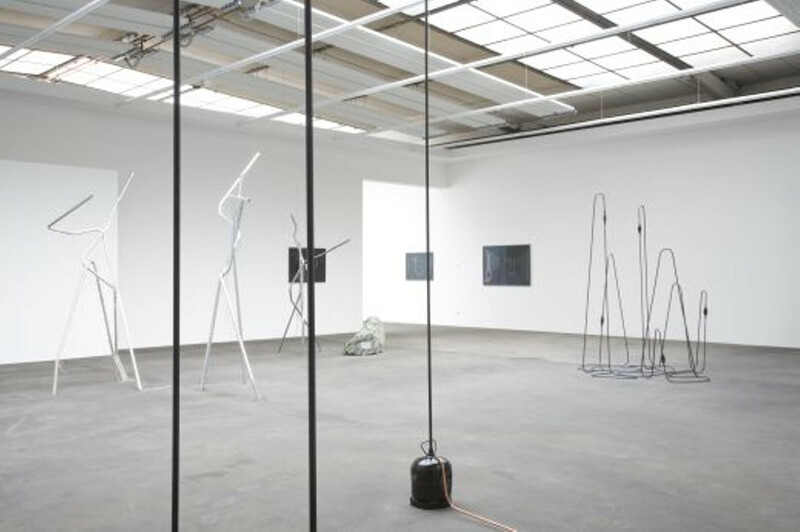 KÖNIG GALERIE is pleased to announce the first solo exhibition of french artist Tatiana Trouvé , coinciding with the Gallery Weekend opening. 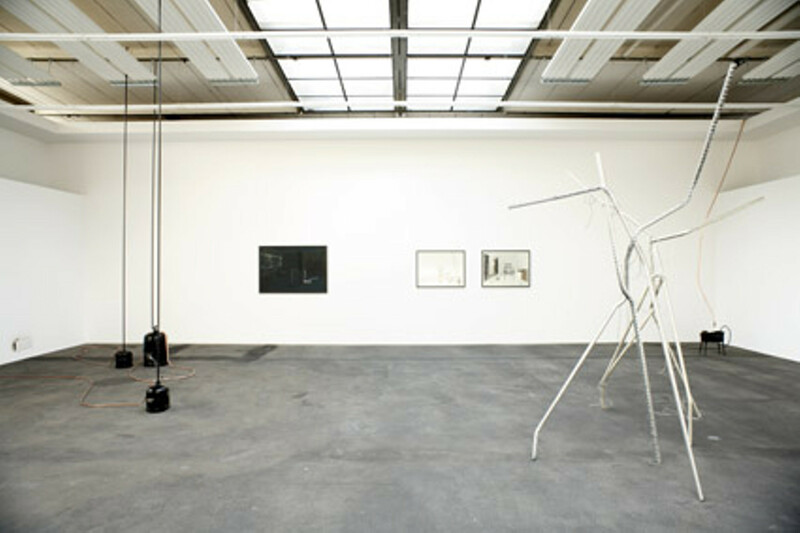 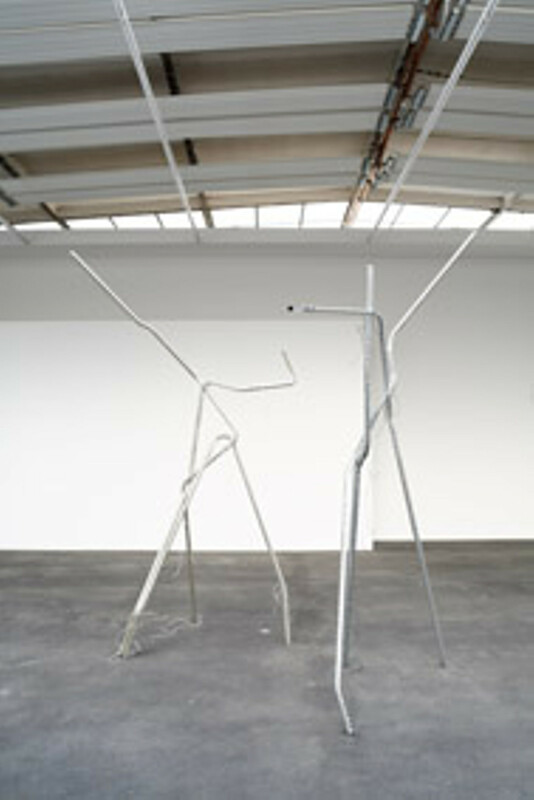 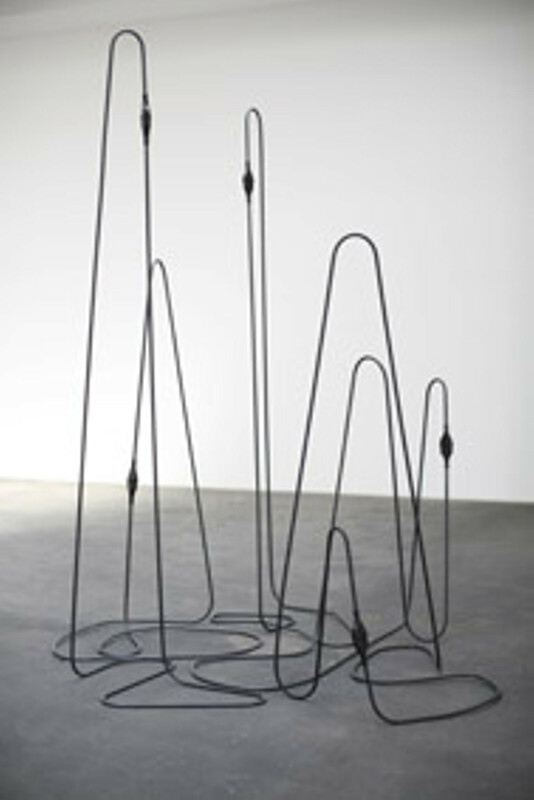 Trouvé will be showing, besides various new drawings and bronze sculptures, a space encompassing installation. 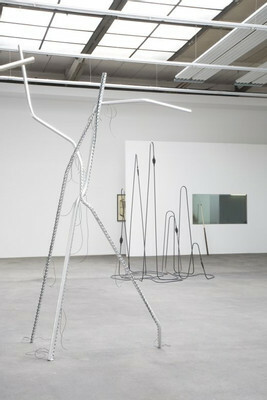 With this work, she was awarded the Prix Marcel Duchamp, the most important recognition for emerging french artists. The exhibition „ Density of Time“ adopts the construction principles from the honoured work and transfers as well as expands them within the entire exhibition space. 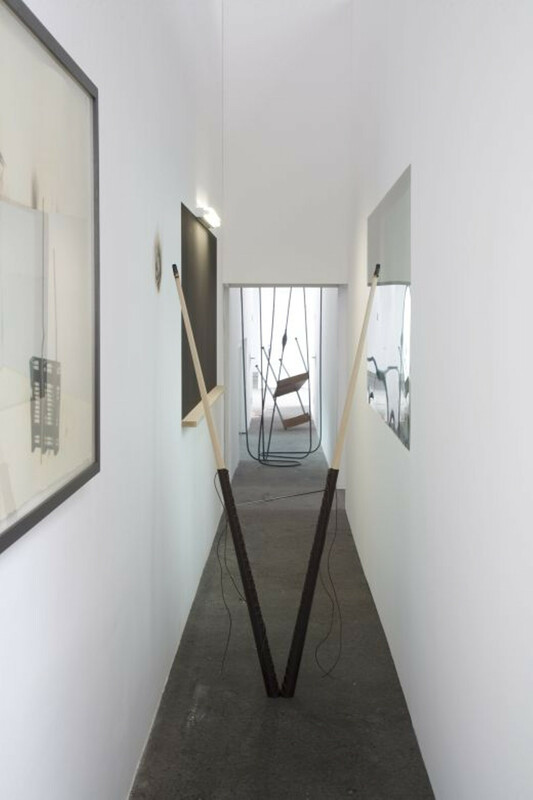 Two walls enclose an in-between world, in which objects seem to obey unusual physical characteristics and laws. 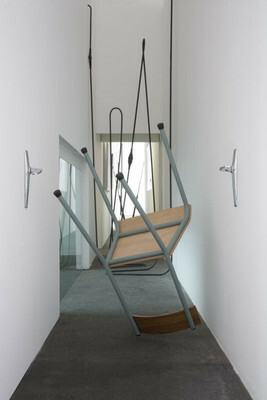 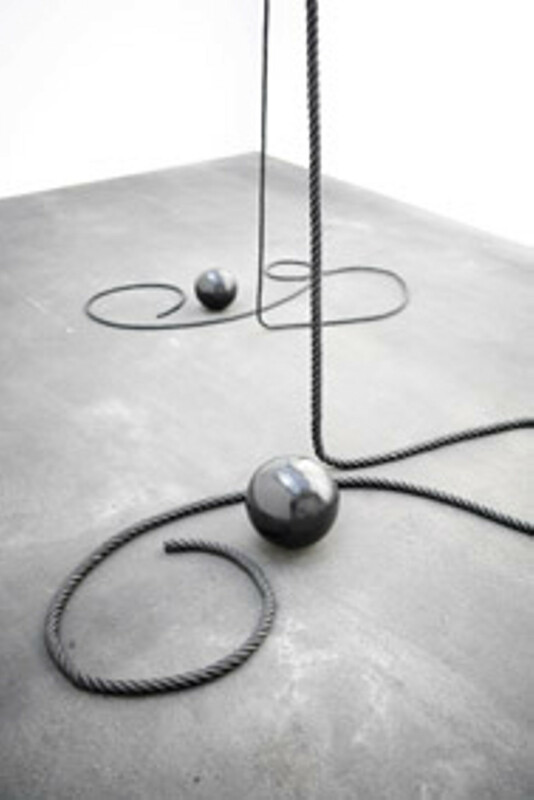 A pool table and a chair are suspended as they fall; perspectives open up and elongate into infinity as if the time and space coordinates had been shifted. Time marks the attempt at a fourth dimension, produced by the two-dimensionality of the drawings and the three-dimensionality of the objects installed. 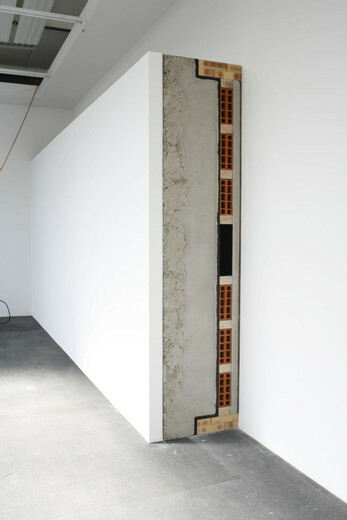 Interventions on the gallery walls dilate the space as the building's foundation penetrates one wall while burnt out air vents blur the limits between inside and outside, alluding to the hidden presence of a peculiar world. 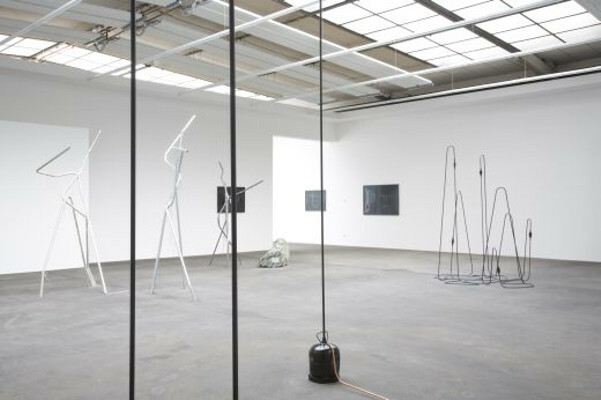 Trouvé also plays with these intensities in her sculptures, in which the transformation of matter and form attempt to freeze time. Instead of gas, copper pipes come out of pressure tanks, a cord's swinging movement is immortalized in bronze. 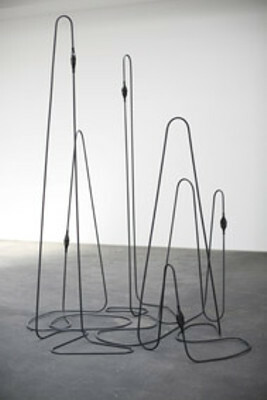 In the series of drawings „Remanence“, forms disappear into the black paper background as if swallowed by a black hole. 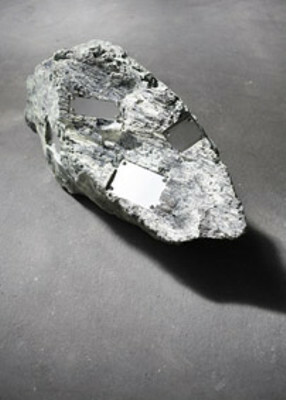 Once again, the passing of time in space has been disrupted. 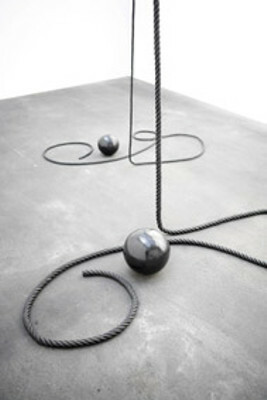 The place disappears, leaving only its shadow. 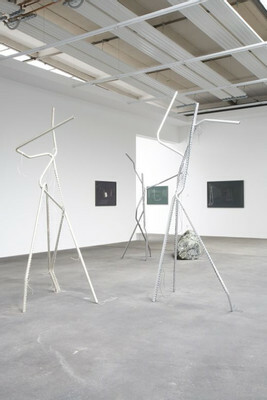 Tatiana Trouvé (*1968) lives and works in Paris. 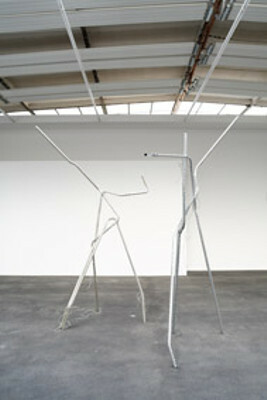 An important solo show of the artist will open on the 24th of June, 2008, at the Centre Pompidou in Paris. 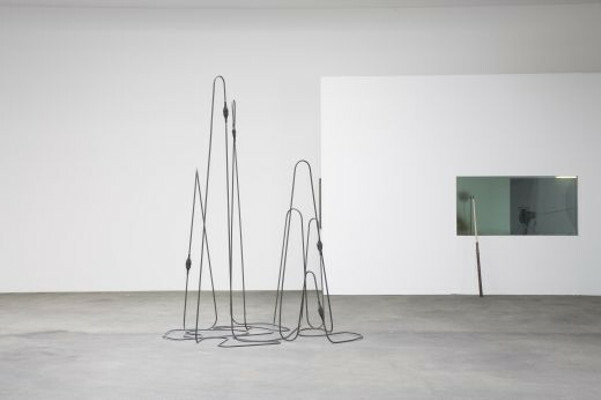 The works of the french artist, until now not sufficiently acknowledged in Germany, were to be seen in the 52nd Biennial in Venice (Arsenale) as well as in the show „Airs de Paris“ curated by Daniel Birnbaum and Christine Marcel in the Centre Pompidou in Paris. 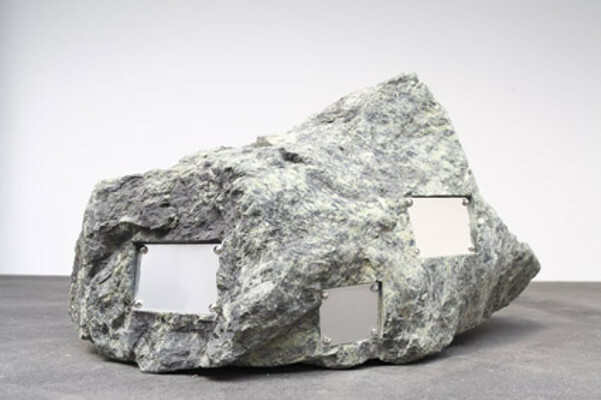 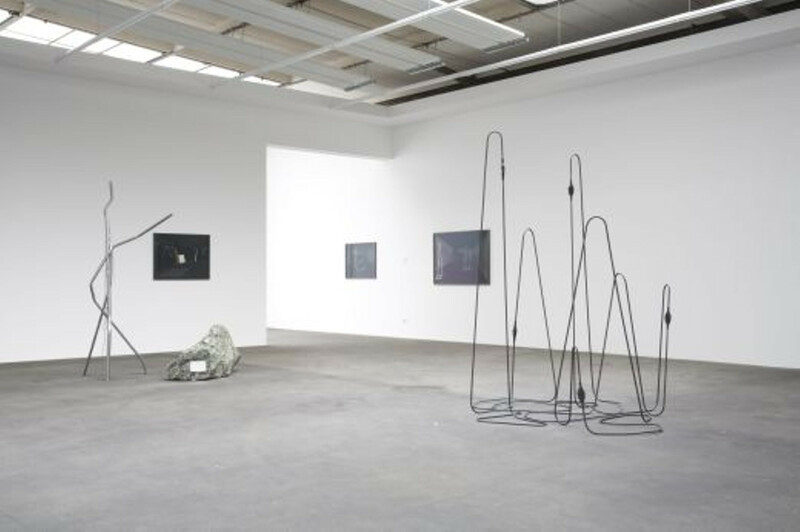 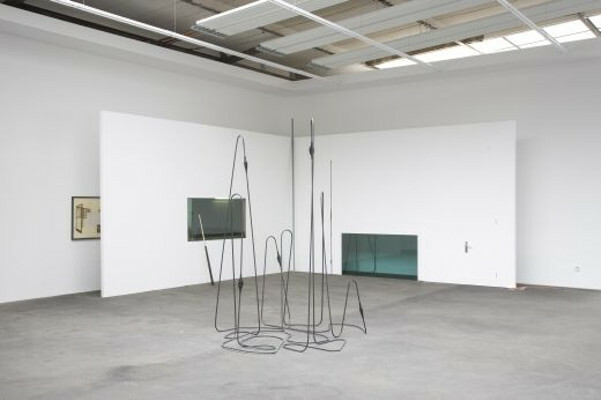 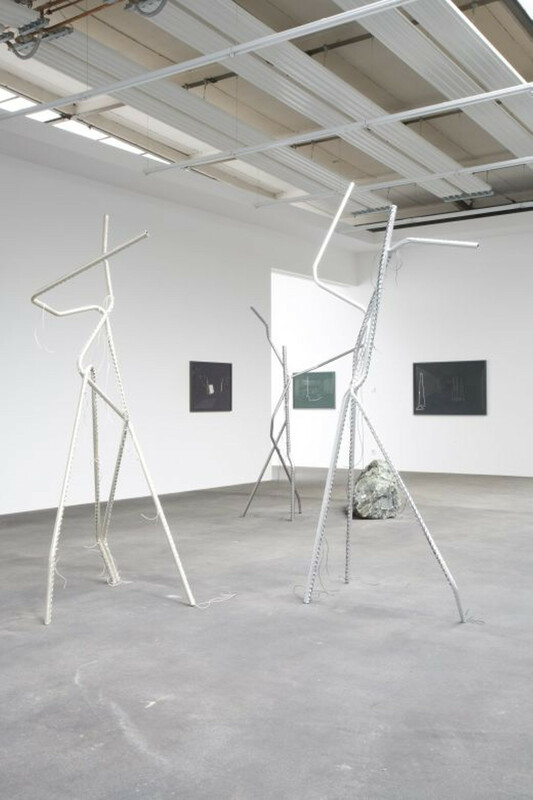 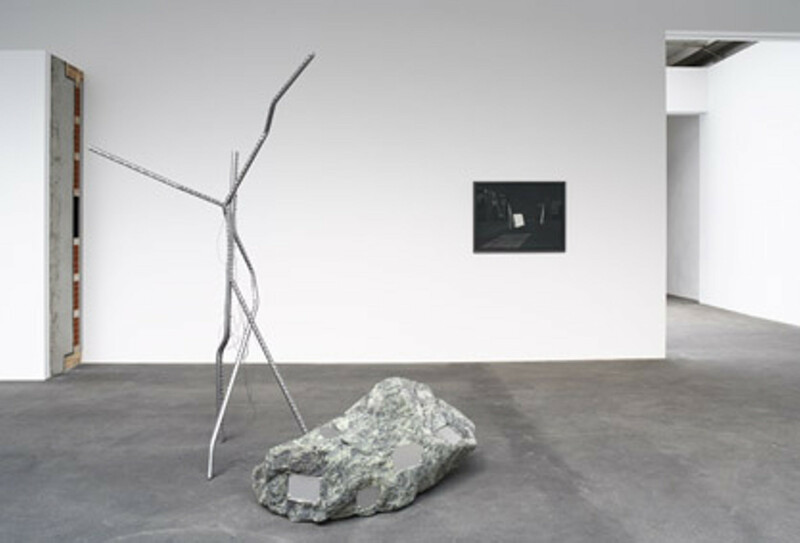 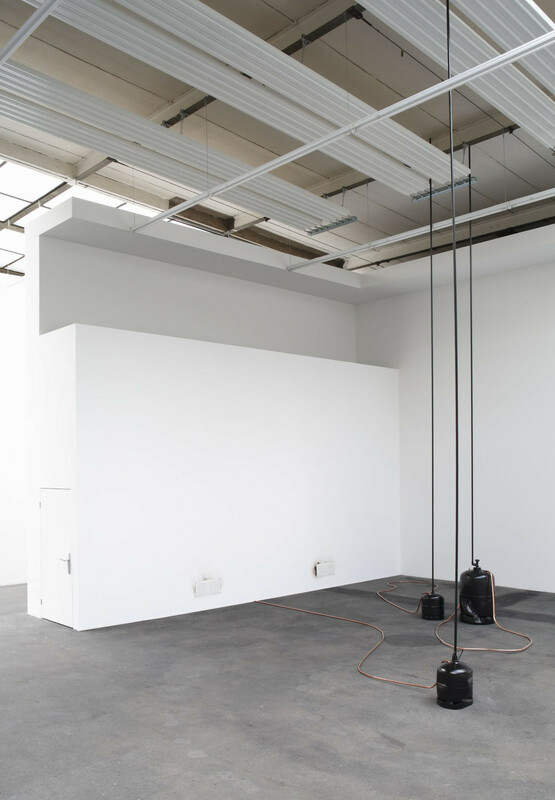 Tatiana Trouvé's work was also shown at solo exhibitions in The Villa Arson in Nice, the museum Mac/Val in Vitry-sur-Seine and the Palais de Tokyo in Paris last year. 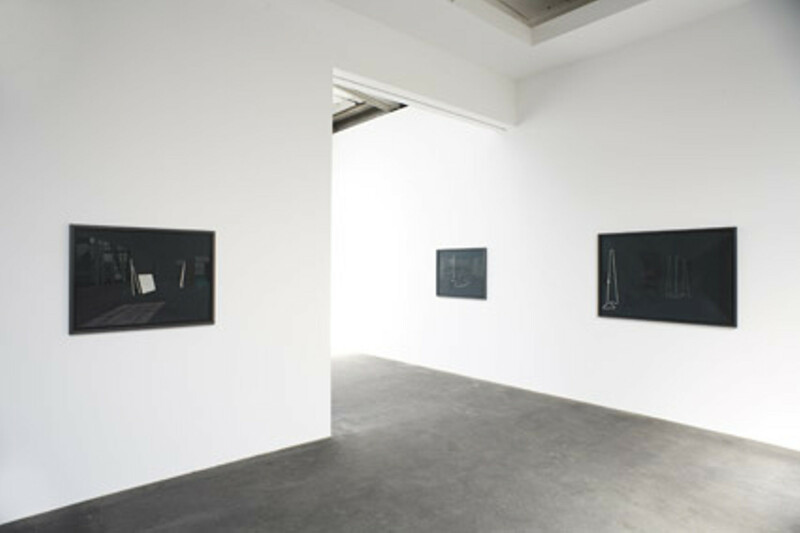 Until now, five monographs on her work have been published.